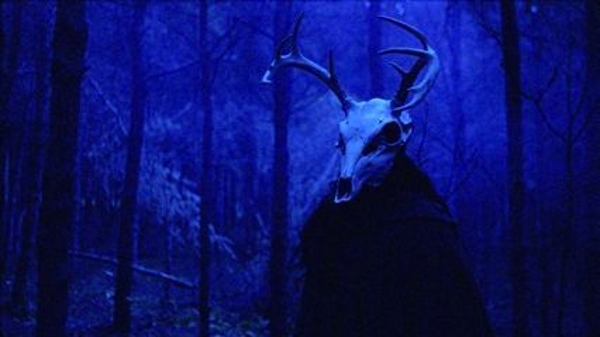 Of the films I’ve caught at Slamdance 2010 thus far, The Wild Hunt has impressed me the most by a wide margin. While defying placement in any one genre, it manages to please on each of its levels. If a film can successfully be funny and scary, that’s impressive. But a film that is frequently hilarious and so brutally unflinching that it made a seasoned horror fan flinch away for the first time in ages . . . well I don’t know what to call that, but if I did it’d describe Alexandre Franchi’s directorial debut perfectly. But this is not a Horror/Comedy–that’s far from fair. The Wild Hunt’s degree of success at layering mythological storytelling archetypes alongside a compelling satirical dramatization of modern culture is, in my experience, absolutely singular. It’s among my favorite films of the past 12 months, maybe longer. Powerful, hilarious, epic, tragic, unique—The Wild Hunt fully deserves each of these descriptors, and it’d be a damn shame if I can’t one day go out and pick up a copy of this film for my collection.